PANORMOS Skopelos. 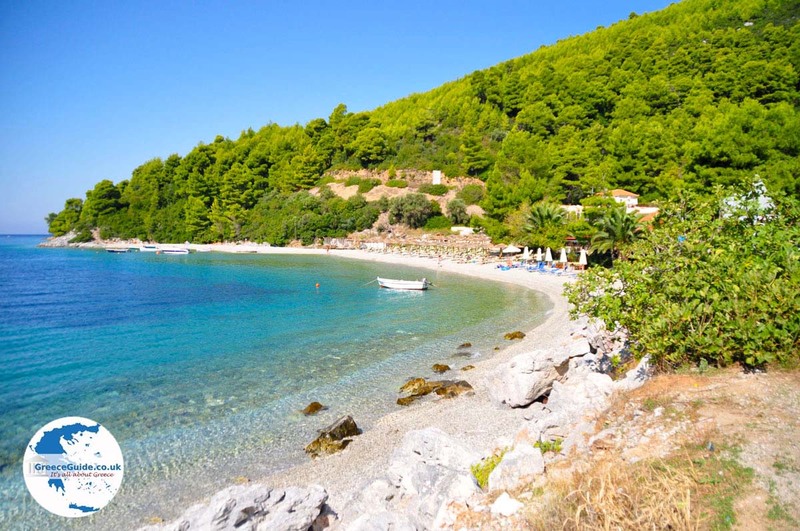 Panormos is located in the southwest of the Greek island of Skopelos, approximately fourteen kilometres from Skopelos Town. 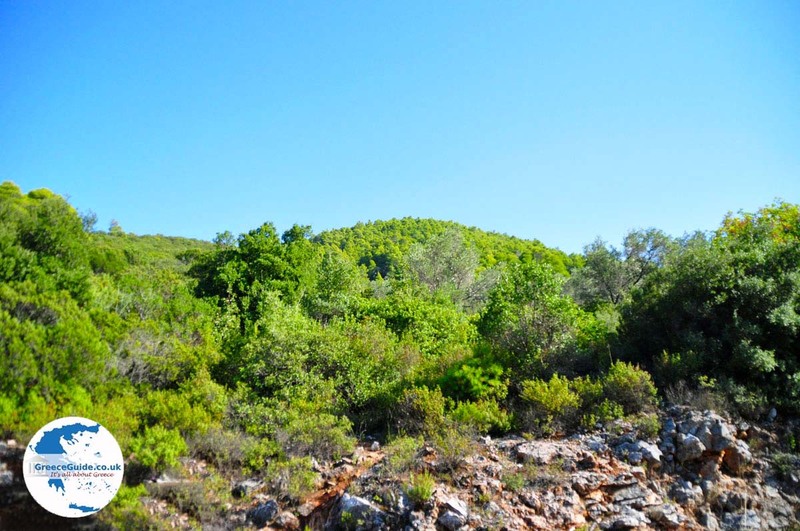 It is reachable via a beautiful winding road which passes through a lovely green countryside. It is located below at a small plain surrounded by forested mountains. The nature here is very beautiful. 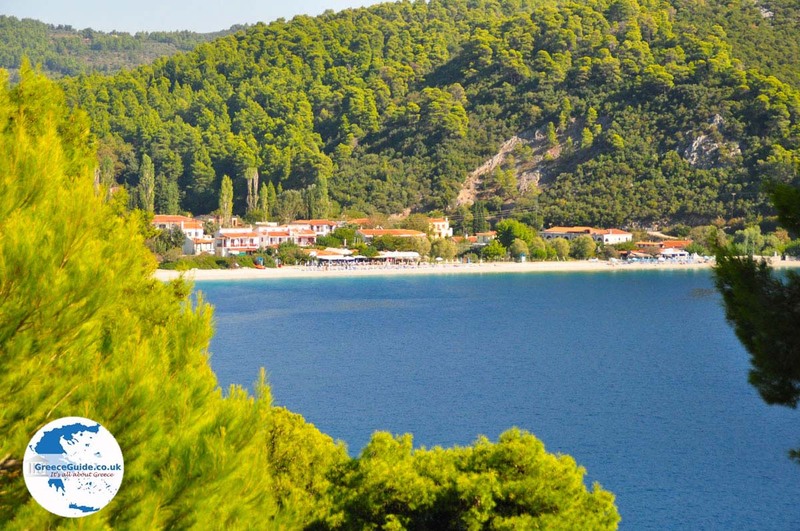 Panormos is a small coastal village with a beautiful sand and pebble beach. At the beach are nice restaurants and cafeterias. On the beach sun loungers and umbrellas are for rent, here you can also enjoy water sports. 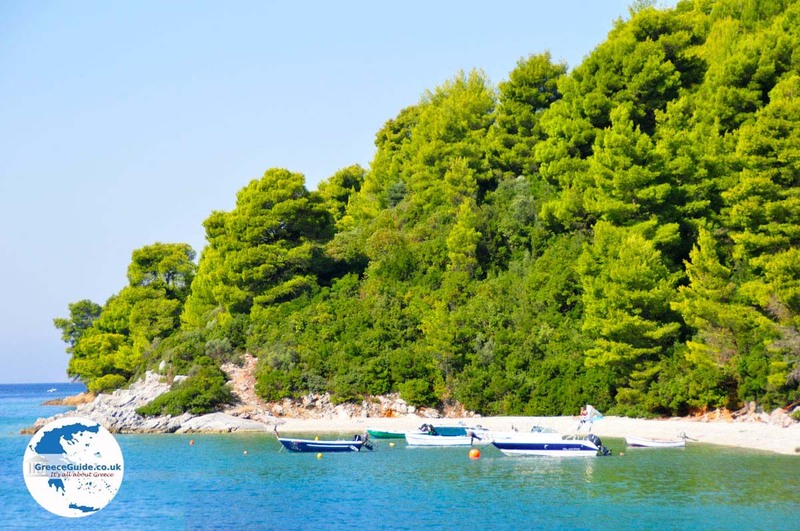 Though not large, it is one of the most busy tourist places on Skopelos. 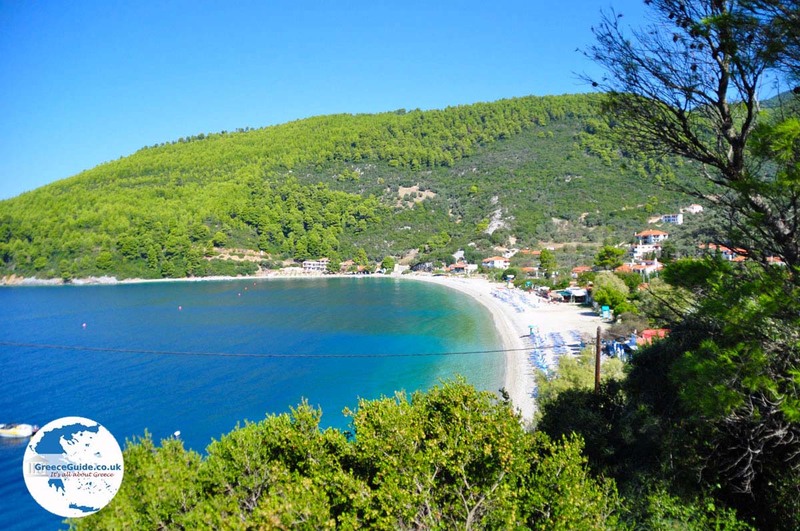 Panormos is in a fairly closed bay and in this bay is located a second bay that bears the name Mplo. In Mplo, which actually looks more like a fjord, you will see many fishing boats, yachts and other tourist boats. 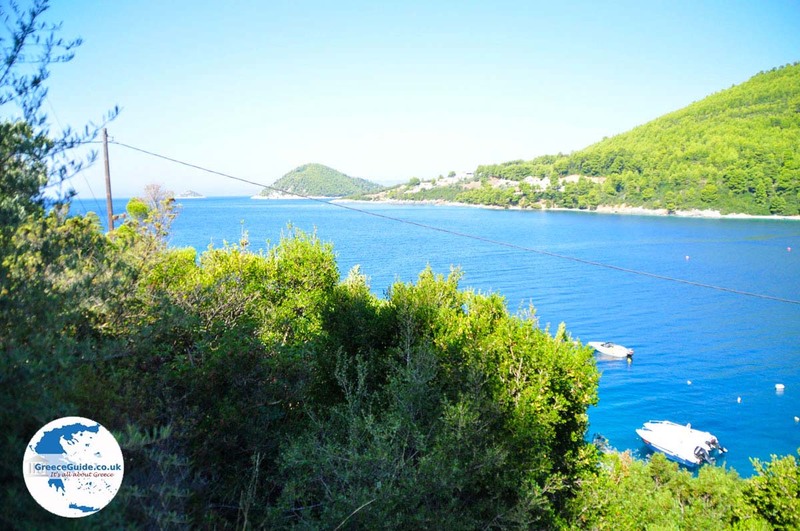 These two bays are in fact among the most beautiful bays of Skopelos. 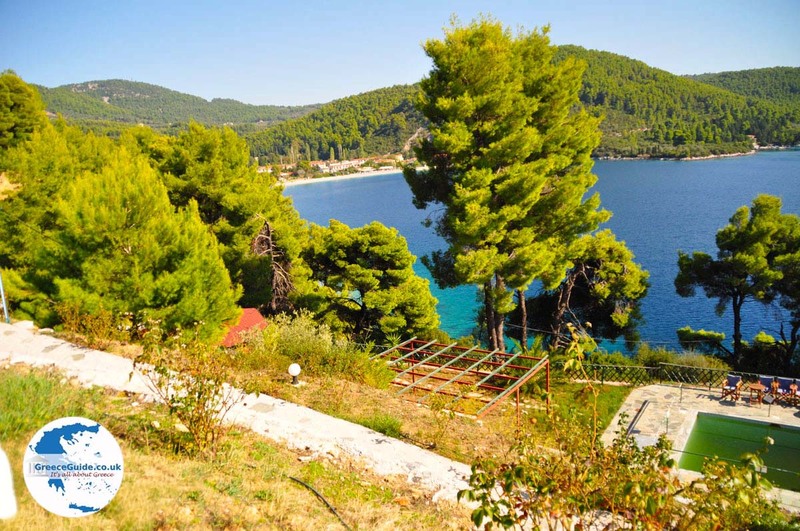 At the entrance of the bay are two beautiful islands, one of them is Dasia which is completely covered with pine trees. The island is reachable by tourist boats that leave from Panormos. 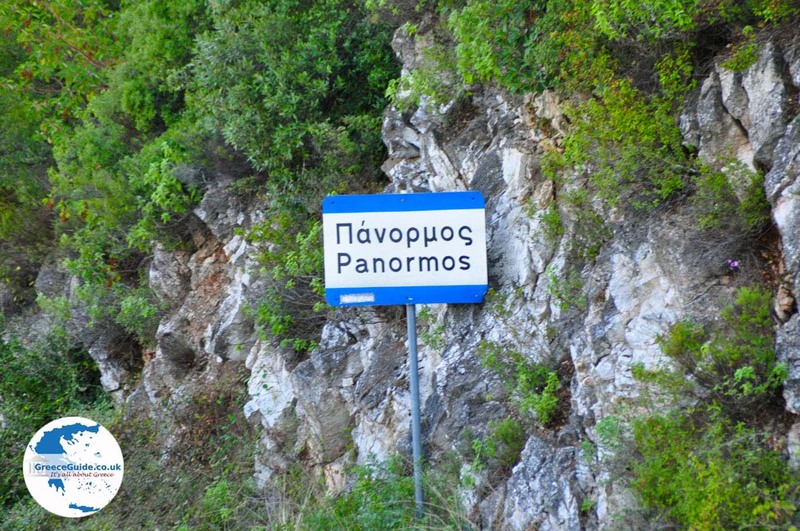 Panormos is very quiet during winter,there live only thirty permanent residents. 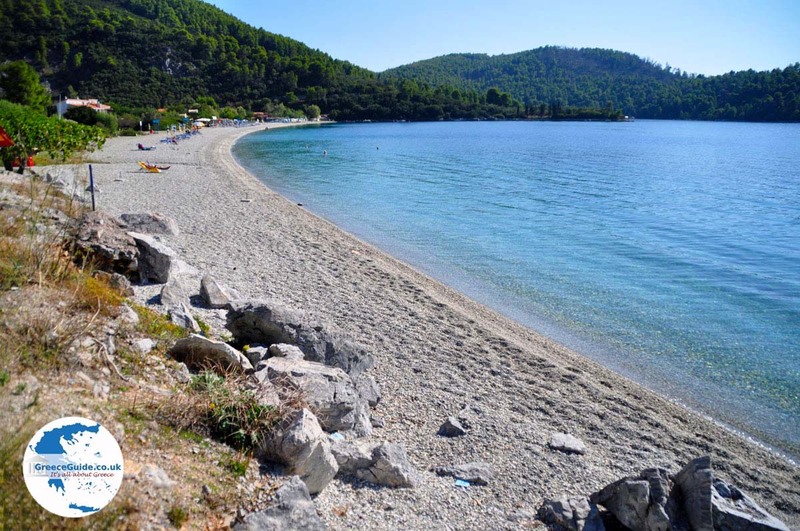 Beautiful beaches nearby,are the beaches of Milia and Kastani. 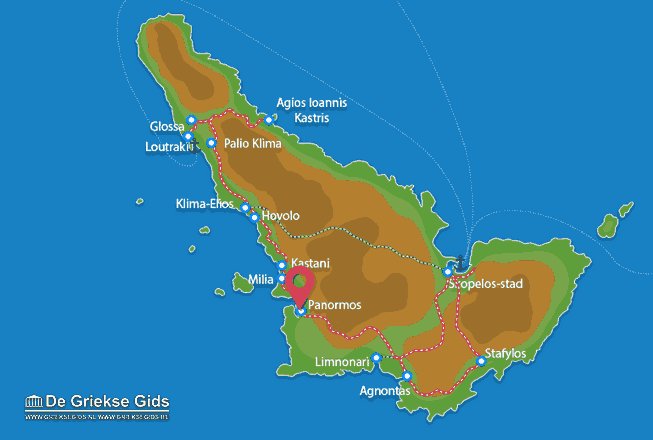 Skopelos: Where on the map is Panormos located?